Reed Switch Developments Corp. marks another official milestone, achieving the highest sales numbers in its more than 50-year history, and a 20% increase over the prior year’s historic growth. The company attributes its continued success to its unwavering commitment to customer satisfaction and 100% U.S.-based operations. Reed Switch Developments Corp. officially becomes a third-generation family business, as Christina, daughter of Reed Switch Developments Corp. company president, Debra Dahlin, joins the team. The company celebrates its 50th Anniversary, marked by in-house celebrations, and its nomination for Wisconsin Small Business of the Year. Reed Switch Developments Corp. enters into major global distribution agreement with Amazon for its magnetic reed switch sensor and actuator kits. The company also launches a brand-new website, with further expansion of its online product catalog. During the “Great Recession” in the U.S., Reed Switch Developments Corp. shows great tenacity and endurance by reaching a historic milestone: the highest annual sales in its history to-date. Reed Switch Developments Corp. celebrates its 40th Anniversary. It is presented with a second Golden Key Award by RAMAC for its longevity, continuous growth and contributions to the community. Reed Switch Developments Corp. experiences a 28% sales growth year, with the expansion of our magnetic reed switch product lines and markets served. The new corporate headquarters is completed and opened in Racine, and is designed in a West Coast Silicon Valley high-tech theme. This theme incorporates the two core philosophies of Reed Switch Developments Corp.: Creativity and Innovation. It incorporates lean manufacturing techniques and principles, including a full cellular manufacturing floorplan and new continuous quality improvement process protocols. The new facility also fosters an environment of employee creativity and innovation. In anticipation of the company’s continued success, the building is uniquely designed to facilitate its future expansion, without disruption of the original structural design. Reed Switch Developments Corp. pioneers the total solutions package, which includes everything from design, development, sourcing, kanban and just-in-time shipping. Application development services, which include the integration of magnetic reed switch sensors and actuators directly into a customer’s device, brings a personalized service that only Reed Switch Developments Corp. can offer the market. Reed Switch Developments Corp. receives the prestigious 1999 Wisconsin Manufacturer of the Year Award. This award recognizes Reed Switch Developments for increasing its production capabilities by over 30% via the implementation of cellular manufacturing, along with a 28% sales increase over the prior two-year period. The sales growth was attributed, in large part, to its consistently strong historical on-time delivery performance. Reed Switch Developments Corp. is named Wisconsin Manufacturer of the Year! Only four companies in the State receive the Award each year for their leadership in product innovation, customer service and creative strategies to cope with challenges, such as Wisconsin’s labor shortage. Reed Switch Developments Corp. was chosen for the Award, due to its strong growth over the past three years, a superb record of on-time shipments, excellence in employee training programs, and zero employee turnover. Reed Switch Developments Corp. receives the Racine Area Manufacturers and Commerce Golden Key Award. The company is recognized for its advancements in production through implementation of cellular manufacturing, the doubling of its production capacity; and its empowerment of the company’s manufacturing team, by allowing for a continuous product improvement process. Such improvements alone allowed Reed Switch Developments Corp. to compete with multi-million dollar companies in their industry and on a global stage. First-generation company owner, Rose Dahlin, then officially retires from Reed Switch Developments. Her daughter, Debra, takes over company ownership. Reed Switch Developments Corp. expands further into global markets through the in-house implementation of web-based technology. Second-generation Dahlin family owner, Debra, is named as Reed Switch Developments Corp.’s first female company president, a position which she holds today. Her mother, first-generation owner Rose Dahlin, is named as vice president. Together, the two women work together to strengthen and solidify their already-growing market position, as a 100% woman-owned manufacturer and small business in the State of Wisconsin. Reed Switch Developments Corp. officially breaks into the international market with its first customer account in Seoul, Korea. At this time, their primary core competencies center around the supply of custom magnetic-based reed switches within niche markets, such as appliances and factory automation/robotics. Reed Switch Developments Corp. begins its specialization in highly custom applications designed to customer exacting standards, as more customers take notice of the company’s unique capabilities in these areas. 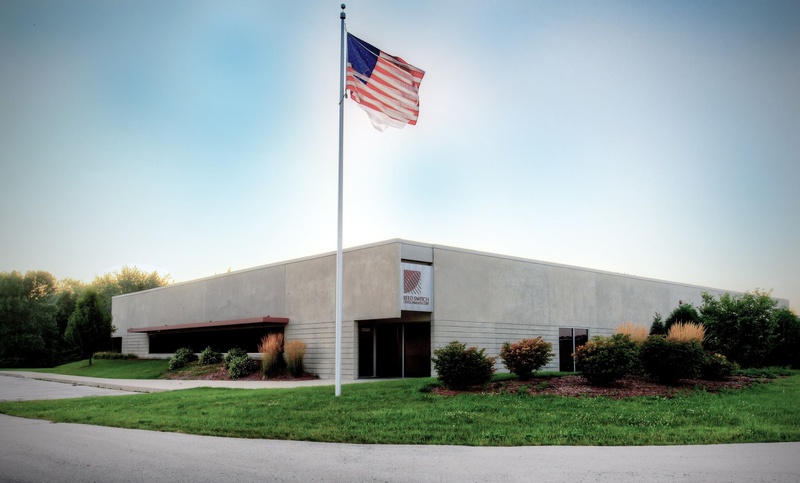 Reed Switch Developments Corp. moves its global corporate headquarters and manufacturing operations to Racine, Wisconsin, USA, operating 100% as a US-based manufacturer, under the privately family ownership of Harold and Rose Dahlin. Their daughter, Debra Dahlin, joins the company as Vice-President / General Manager.